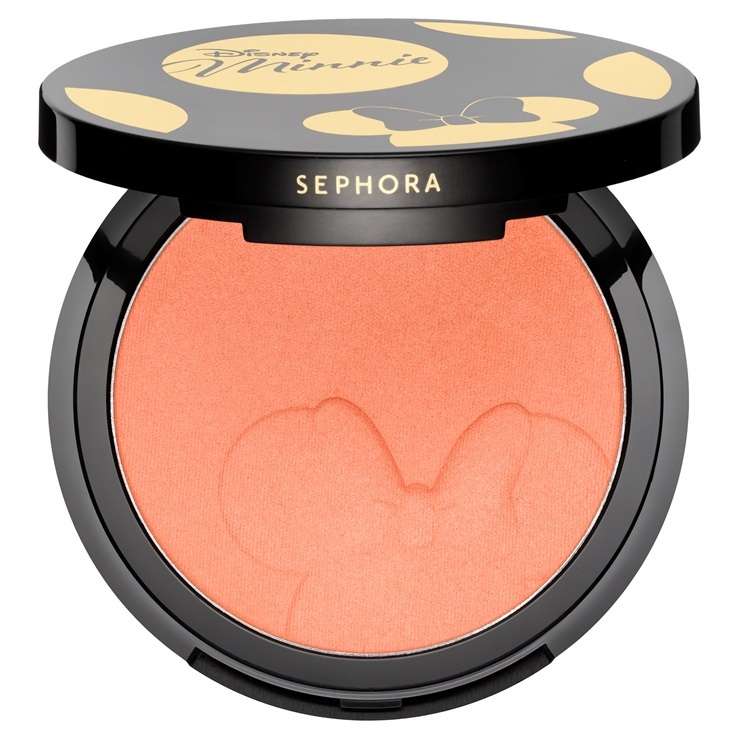 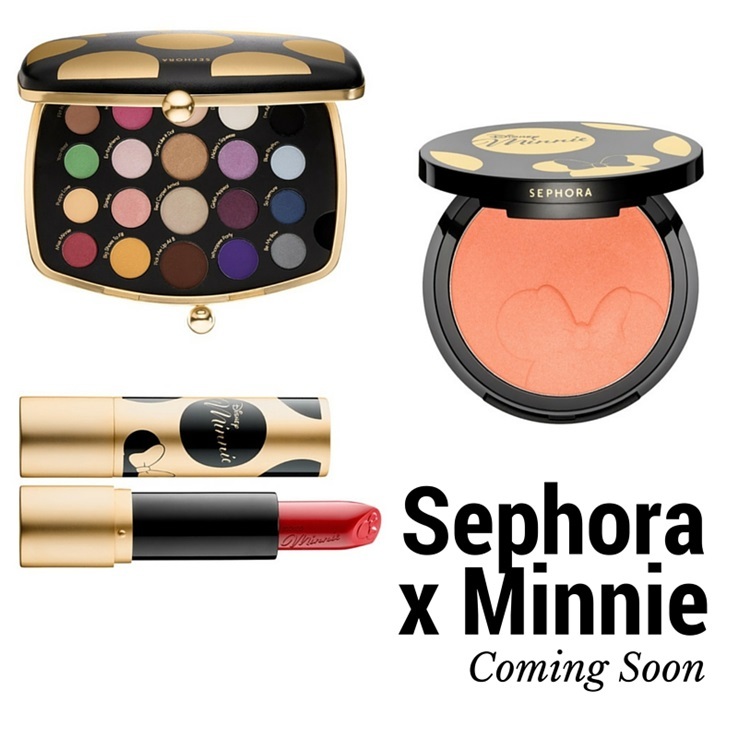 Sephora is bringing a Minnie Mouse Makeup Collection for Spring 2016 inspired by the classic and timeless Disney character. 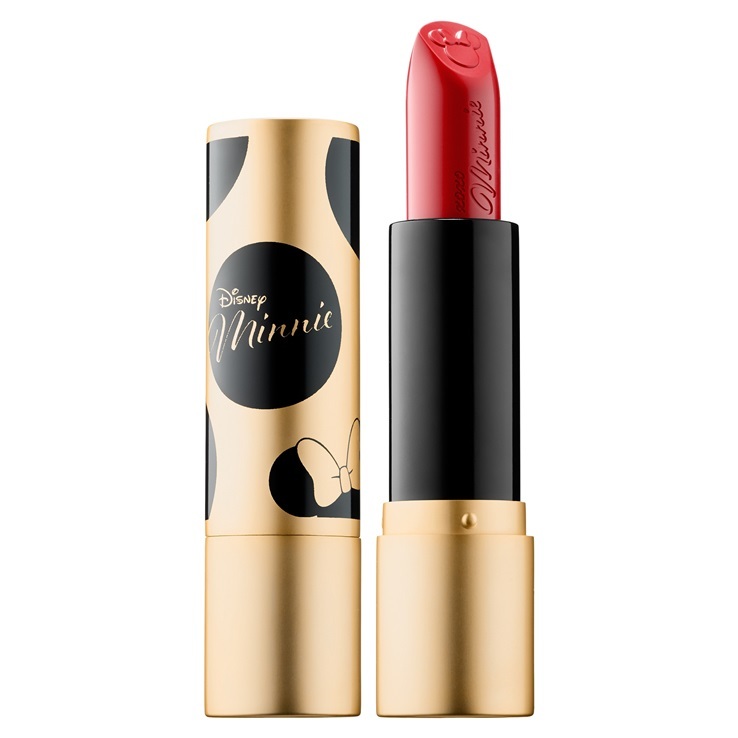 The limited edition collection will offer products to recreate Minnie Mouse's signature style of long lashes and red lips, as well as her smoky eye. 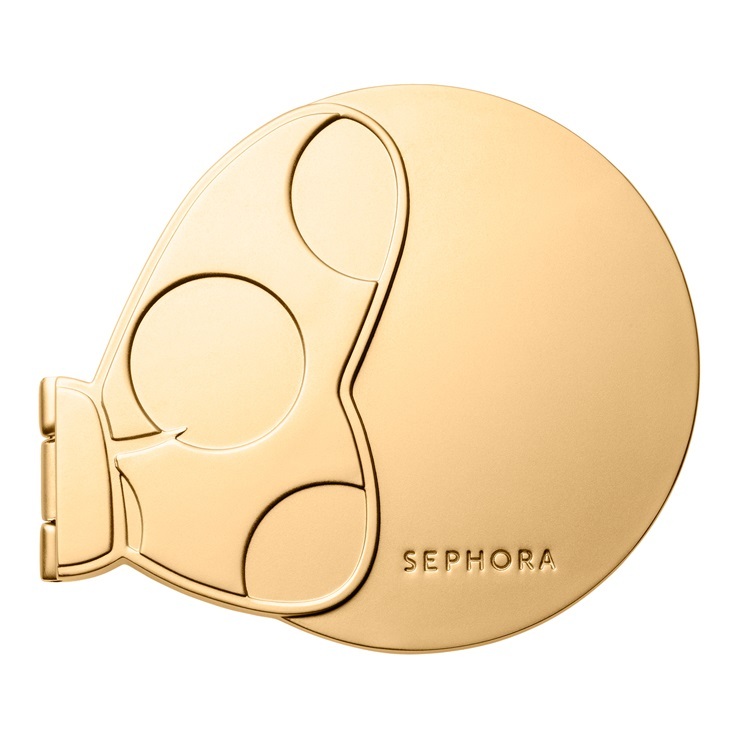 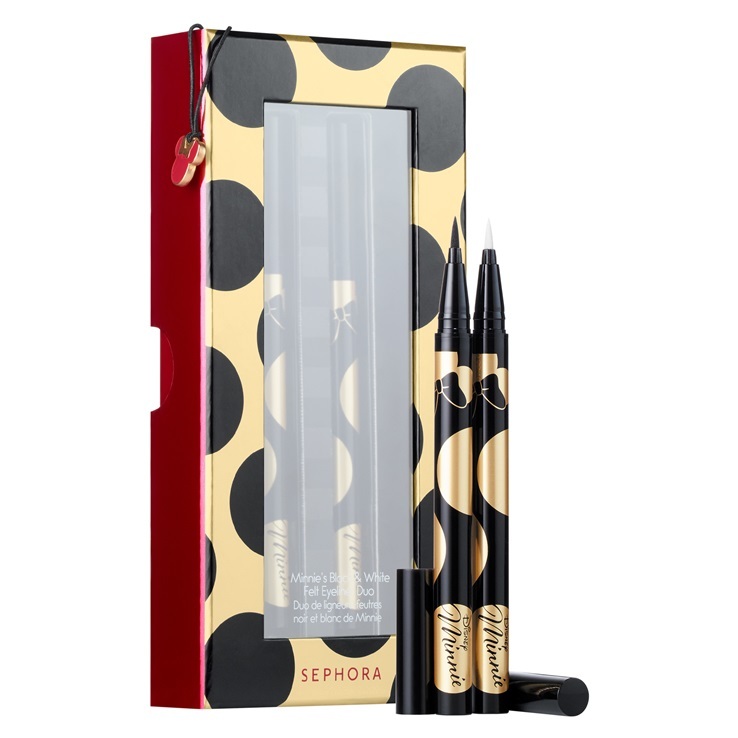 Sephora's new collection is adorably packaged, and is quite chic, offering cosmetics for the eyes, lips, face and some accessories too. 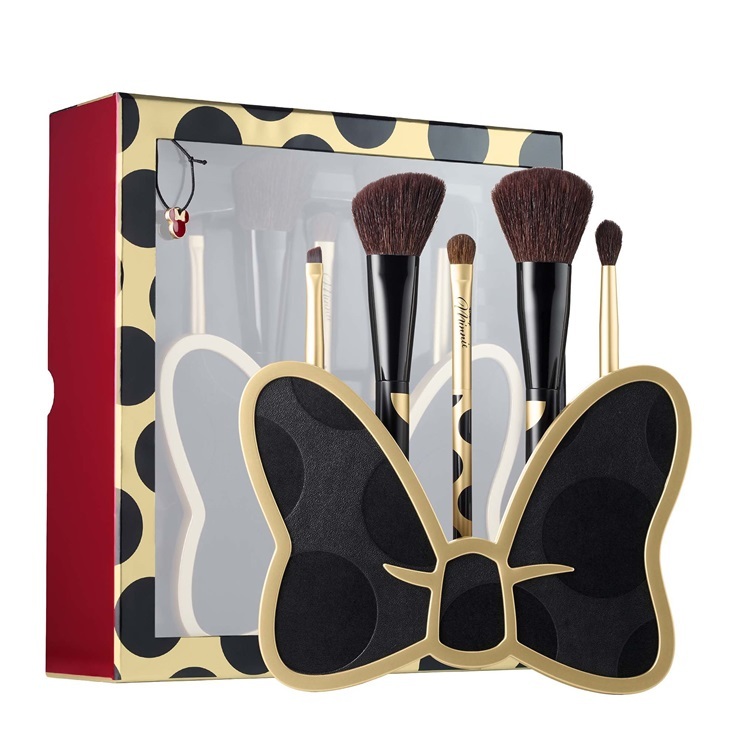 The Limited Edition Minnie Mouse Collection offers a 20 shade eyeshadow palette with matte, shimmery and glittery finishes, a felt eyeliner duo in black and white, a satin feel lip cream set of five shades, a peachy hue luminizer blush and the perfect Minnie Mouse red lipstick. 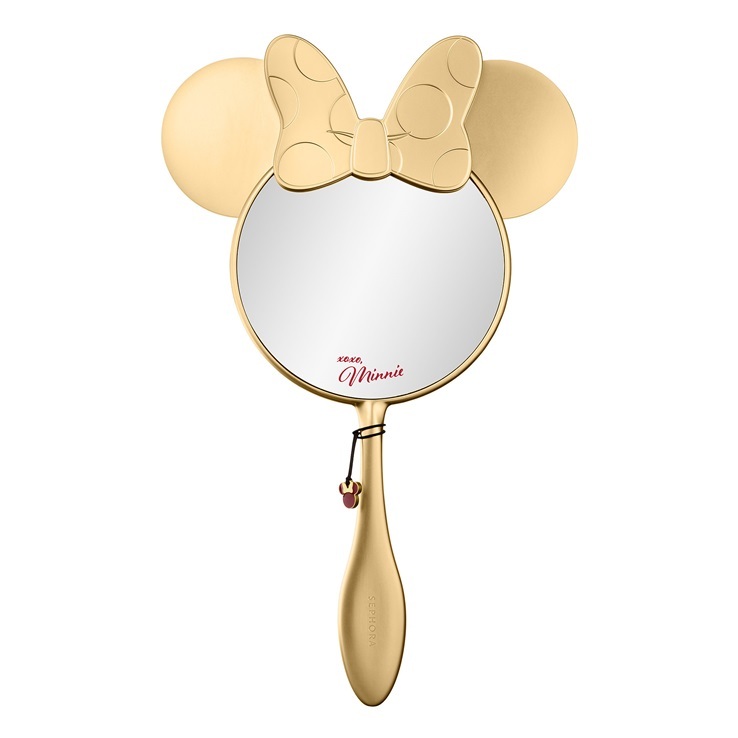 The collection also includes a a six piece set of brushes with a brush stand inspired by Minnie's bow, a compact mirror and a handheld mirror. 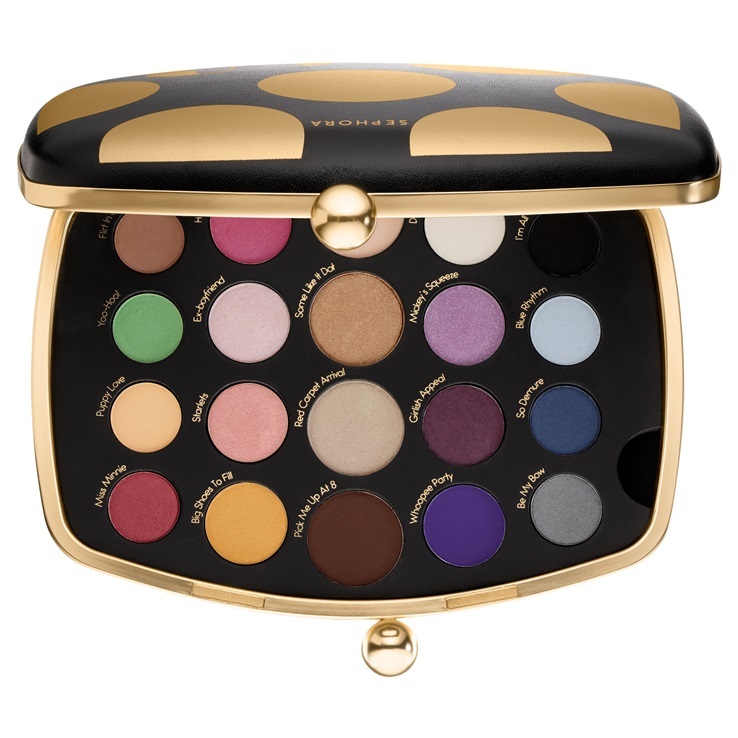 The casing offers a rich gold and black hue, and will certainly be selling like hot cakes off the shelves when it hits stores early in April 2016.